In the 1950s British designer Gerald Holtom created the CND logo for the British Campaign for Nuclear Disarmament. The clean black and white icon spread to the US and fast became the international symbol for peace. This is an unquestionable example of the power of symbols to represent, unify and communicate; but just one of millions of signs and symbols used by humans to try and make sense of the world around us. From Aboriginal art to graffiti, visual communication is a core component of civilization; whether enabling social cohesion or social change. Today, against the backdrop of rising temperatures, daily species extinction and school walkouts across the globe, the environmental movement has finally found its symbol: Extinction Symbol. Seen on flags, walls, and on social media the globe over, it has one clear message: we are running out of time. 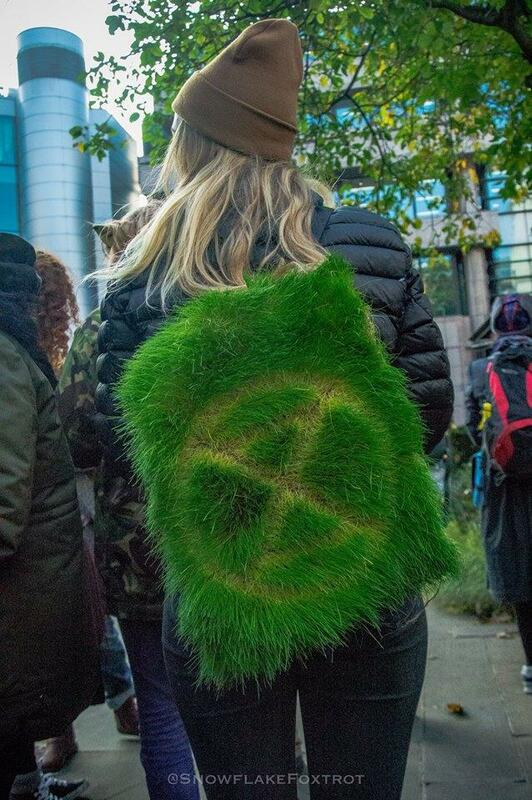 It was propelled onto the streets of the UK in Autumn 2018 as the official logo of Extinction Rebellion (XR), the fast growing global social movement for climate action. 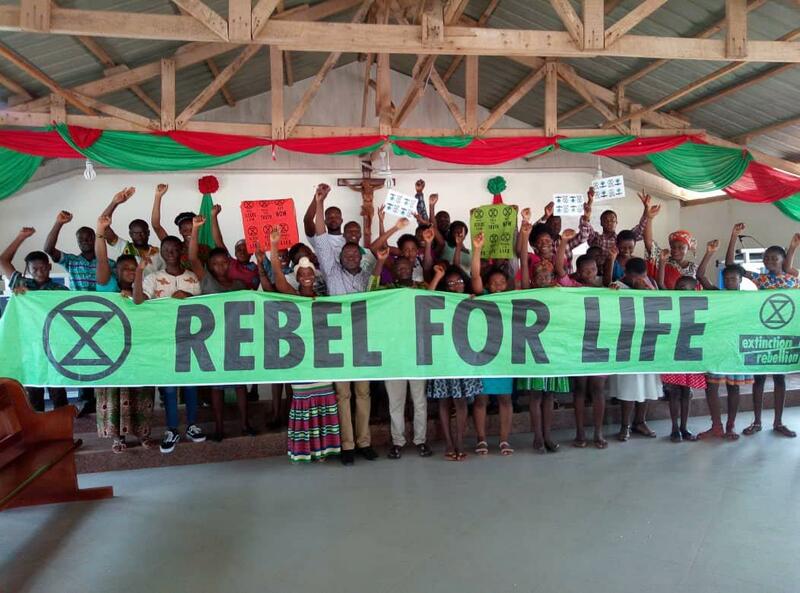 In six months, Extinction Rebellion has spread across the globe – representing true environmental action. Whilst this icon has been used thousands of times on and off-line, the origins of the icon haven’t yet fully been interrogated. For anyone interested in the role that design and art can play in environmental communication, it’s a fascinating trail to follow. 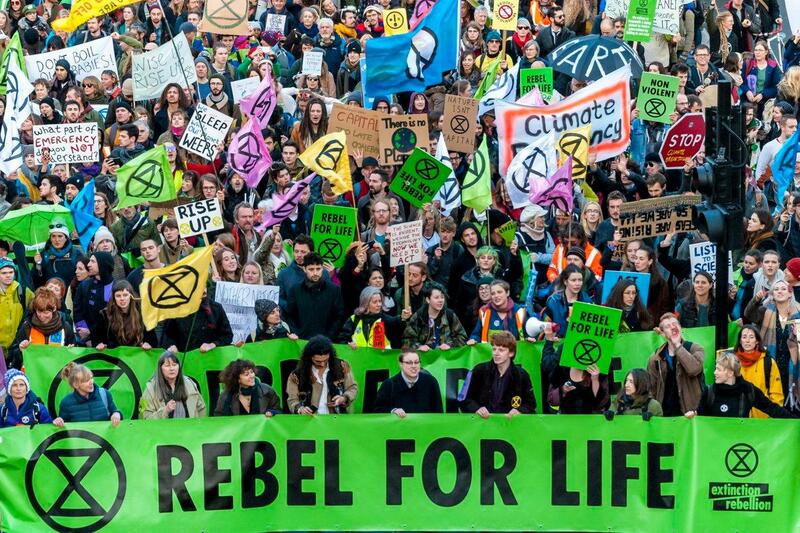 Before its uptake last year by Extinction Rebellion, the symbol had gradually been attracting an online following amongst environmentalists, artists and activists with a particularly significant following on Twitter. The account name, is simply ‘Extinction Symbol’; not an artist or organisation but the symbol itself. Extinction Symbol was created eight years ago, in 2011, by an East London artist known as ‘ESP’. 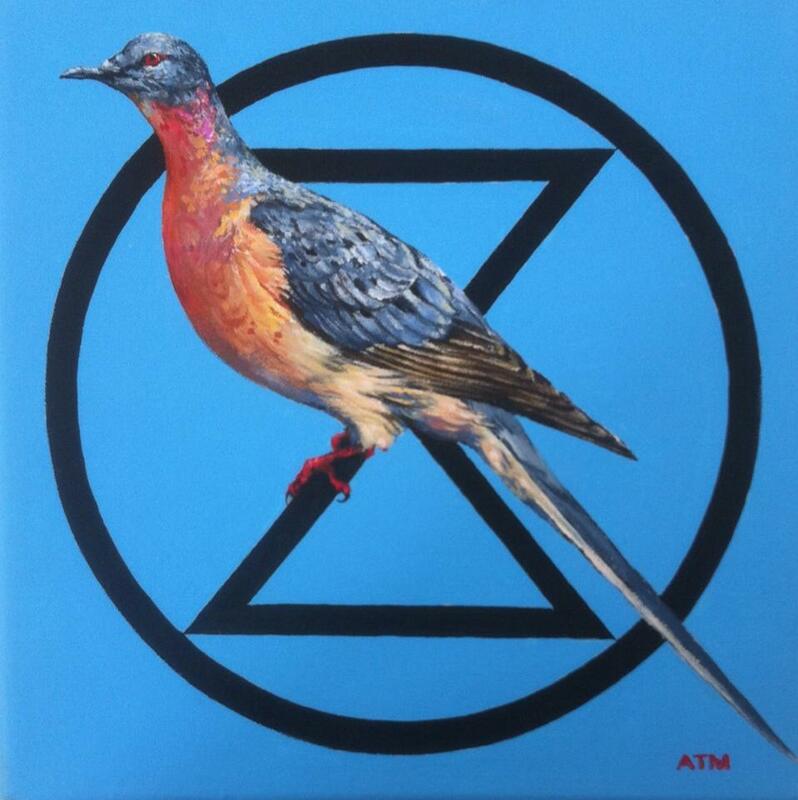 It took me three years to discover it, exhibiting his Extinction Symbol on a road sign at the Human Nature art show in East London in 2014 then working with mosaic artist Carrie Reichardt to bring it to life as a ceramic mural for street art project ENDANGERED13. ESP’s work is enabling mass communication and proving the true potential of art and design to help address the biggest challenge of our time. Keen to learn more and how the symbol came about, I had the pleasure of catching up with him. When did you start to become concerned about the natural environment and the threat of extinction, and what was it that really began to worry you? I've always been into nature. I used to camp out in the woods a lot as a kid. I visited Sumatra in the 1990s and saw large-scale deforestation. I travelled miles through a landscape of blackened smouldering tree stumps stretching to the horizon. It was horrific. I didn't even know what palm oil was at the time, but I saw a lot of monoculture plantations, so I guessed that was the reason. After I came back to the UK I got involved with the anti-roads movement and things continued on from there really. Would you call yourself a designer, what do you do by day? Have you designed anything else you are particularly proud of? I mostly do printmaking and sculpture. I once built a bicycle powered washing machine out of scrap parts that I was really proud of. I was convinced that I'd invented the concept. This was before I had the internet. I later found out that it had already been done back in the 1970s. Can you explain how, why and when the extinction symbol came about? I wanted to make some artwork about extinction, so I started researching it and found out things were a lot worse that I'd thought. This was around 2008. I was making protest art about the declines of various individual species for a while, but it felt quite inconsequential in relation to the scale of the problem. I gradually realised that the issue was so big that I couldn't do this alone, and therefore it needed something simple that anybody could easily replicate. I was really interested in the history of symbols at the time anyway, such as cave art symbols, runes, medieval alchemy symbols, the peace and anarchy symbols, etc. I was thinking about how the environmental movement didn't really have a well known one of its own. Then at the start of 2011 I was just randomly sketching designs and as soon as I drew the symbol I knew what it was. It was quite a powerful moment of recognition actually. It felt like it had always existed and was just waiting for me to uncover it. How did you first apply it, and what reaction did you get? Can you explain the evolution of Extinction Symbol on Twitter? I emailed lots of large environmental groups to tell them about the symbol. Maybe 20. Only one of them replied, probably the biggest and most well known one. They said they'd like to use it if it ever got popular, but they wouldn't help me to make it popular. Not even a tiny thing about it in their newsletter, which is all I'd asked for. It was then I realised that I'd have to do this by myself. I started off by chalking it really large on a wall down Brick Lane and some guys standing across the street were joking around, asking me if I thought I was Banksy or something. I just ignored them and carried on. Then they became curious about the meaning and one said "X marks the spot", then his friend said "No, time's running out". I turned around and was like "Yes!!". I walked over and gave them a flyer about the extinction crisis that I'd printed off for such occasions. That incident gave me confidence that people could instantly get the meaning of it, even though the design was somewhat stylised for ease of application. After that I started putting posters and tiles of it up in the street. Social media has been useful for spreading awareness of the symbol too, but also about the extinction crisis in general. In what way has it been taken up, on and offline, by different social groups and in which regions of the world? Has anything surprised you in particular about who’s used it? So many different ways, I wouldn't know where to start. People have been incredibly inventive with it. I recently saw pictures of it being used in a rural village in Ghana, which was great. A special mention has to go out to the person in Sweden who has got it tattooed on their face. That shows real dedication, although I wouldn't necessarily advocate going that far. What role do you think symbols play in society, and what are your hopes for Extinction Symbol? I think they can be powerful because they transcend language differences and distil a lot of meaning into a simple form, which then becomes like a concentrated form of energy. As for the extinction symbol, my original hopes for it were that it would become widespread on the walls of cities as a kind of visual confrontation. A reminder to people who indulge in the hyper-consumerist lifestyle that their actions can have far reaching consequences, while also signifying the existence of an emergent resistance movement. 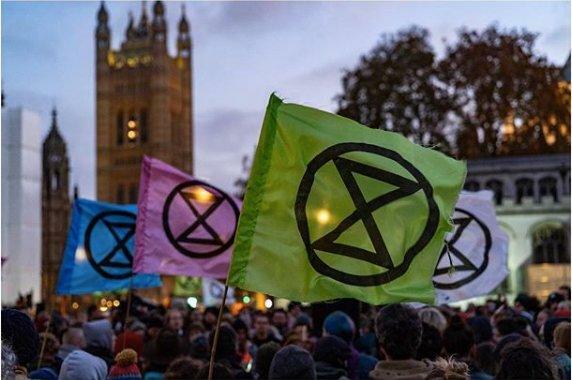 How did the use of Extinction Symbol come about by Extinction Rebellion? Some people approached me last summer about using the symbol for a new environmental group they were starting, so I helped them to publicise the launch event and I carved the woodblock that we used to print the flags. Things escalated fairly quickly after that. What is your main call to action to people, politicians and businesses on the extinction crisis? We need to fundamentally change our way of living and recognise anthropocentrism as a toxic ideology. What is the most powerful fact on the extinction crisis people should know? There are many powerful facts, but one is that over 200 amphibian species have gone extinct since the 1980s due to a pathogen spread by humans and exacerbated by climate change. Is it possible to avert the crisis, if so how? I'm just the messenger. All of us need to come up with solutions. But as a start I'd say initiate rapid de-growth and organise society according to the principles of deep ecology. Let's put an end to human expansionism and try to save what remains. If design and symbols are vital to change, what would you say to creatives to inspire them to use their skills for good? Stay true to what you believe in and don't give up or let people dilute your vision. When I first started the extinction symbol project people would tell me that it's useless because nobody knows what it is, or that it's too depressing, too scary, and so on. I think people are often resistant to new things at first, but then after a while they come to accept them. 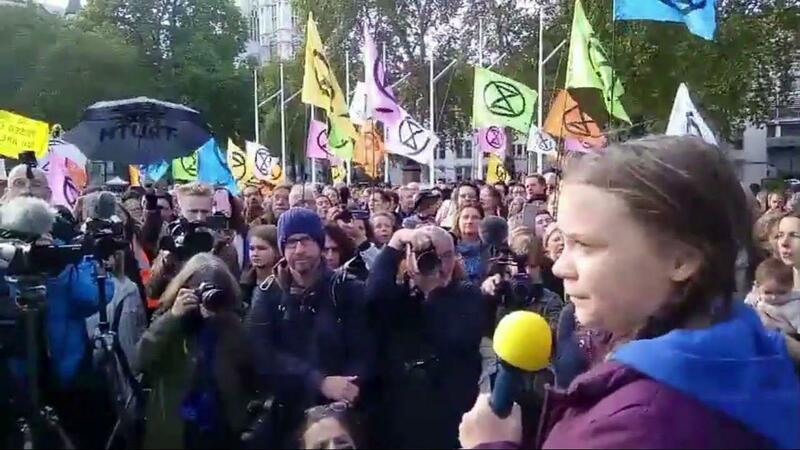 What’s next for you, Extinction Symbol and Extinction Rebellion? Many thanks to everybody who has ever created the symbol. Keep up the good work! 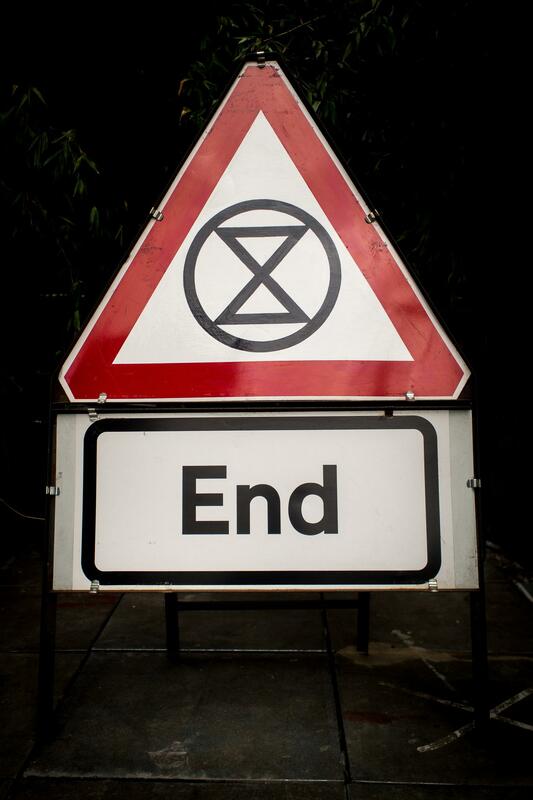 Follow Extinction Symbol @extinctsymbol and Extinction Rebellion @extinctionr on Twitter.